Last week for the very first time, God gave me the privilege to be part of the 2014 Pastoral Conference of our church (Lord of the Nations) and one of the topics was about the story of David and Jonathan. I do not have any notes regarding the lesson because I was the one who handled the LCD that time yet I was listening and I was enlightened to Pastor Allan Gamiao’s messages. Many days as I was observing people inside the church, I find that the church today is actually a very lonely place. Many people have experienced a total relationship shutdown. Some have walked through painful church splits, others have been betrayed by friends they trusted, and still others have closed their hearts entirely to avoid being hurt. It’s as if we forgot how to have true friends. I’ve even met some people who’ve told me they just can’t risk building friendships. So they live in isolation. They bear their own burdens. They get no encouragement. Some end up in depression. Aha! Something is wrong with this picture! In the story of David and Jonathan, we see that God put Jonathan in David’s life at a crucial time in his journey to the throne. And if it were not for Jonathan’s covenant relationship with his friend, David would never have been able to overcome the obstacles he faced during the reign of King Saul. The same is true for all of us. You will never achieve your maximum spiritual potential without the help of those key relationships God places around you. They are God’s blessings to us. Yet in order to benefit from these friendships you must open your heart and take the risk of being a friend. According to Proverbs 18:24, “A man who has friends must himself be friendly” (NKJV). You cannot wait for a friend to reach out to you. Take the first step and be willing to break the stalemate. As a Christians, we should experience a sense of family connection, but there are certain friends you will feel deeply connected to because God is putting you in each other’s lives for a reason. Don’t resist this process. Let God knit you to people. There were times in David’s life when he had to encourage himself, but in this case, Jonathan was God’s instrument. He didn’t just encourage and support David when it was easy, he stayed loyal, no matter what trials presented themselves. David confided in his friend Jonathan, and in some cases, he poured out his heart in frustration. At one point he said to Jonathan, “What have I done? What is my iniquity?” (1 Sam. 20:1). When I’m going through a difficult trial, I sometimes just need to voice out. And I have loyal friends who let me process my pain and they don’t run and tell others else about my weakness. This is true friendship. At one point in David’s journey, Jonathan realized his friend would one day be king of Israel. This was actually Jonathan’s inheritance, since he was Saul’s son, but he acknowledged that God had chosen David instead. So he gave David his royal robe, his armor and his weapons (see 1 Sam. 18:3-4). This is a beautiful picture of how we are to prefer and honor each other. Jealousy destroys friendship. If we have God’s love in our hearts, we will want our friends to surpass us. Jonathan lived in the spirit of Jesus’ word about friendship. If you have been hurt in previous relationships, break out of your isolation and ask God to heal your heart. Then choose to be a Jonathan to someone else. So, let’s look at our friendships today. I’m not going to tell you to abandon any friends who aren’t perfect, or who might need your support. I am going to tell you that if most of your friends are not the kind of people you can turn to when you need support, you might want to separate a little. Watch quietly. Look at character like Jonathan did. Then love those solid friends as you love your own soul. “Jonathans” in our lives are essential, most especially to those with unending demands and sweeping emotional heartaches. I urge you to seek the Lord today by asking Him to lead you to someone for whom you might become a “Jonathan.” As a result, you will be used by God to give to this person invaluable help and hope. If you already have friends like that? Remind them today how much they’ve blessed your life. As I think over the many, many friends who have blessed my life, I am deeply and incredibly humbled. Many of them don’t even know the depth of joy and blessing they’ve given me, but their influence, their words, the memories I have of them have reached into my life and reminded me of what’s important in ways they wouldn’t have dreamed were possible. – Credit to Pastor Allan Gamiao (LOTN Las Vegas) for his inspiring lesson and for the TITLE of course! – I would also like to thank the two persons close to my heart, Abegail Camille Arago and Monica Shiena Sagad for the encouragement, insights and a lot of ideas to made this possible. – ALL GLORY BELONGS TO GOD! Every life tells a story. Every person has a story. You have your own stories about parents and grandparents, family members and others. Some of them are good stories that you are proud to recall. Others may not be so memorable, but they all combine into the intricate weave that forms the pattern of life. I am glad to share with you the story of one of the closest persons in my life. I have known her for almost a year and as my ministry leader, she influences me to my passion and especially to my spiritual growth. I see her as a cheerful and simple woman who is devoted serving with His Master, yet behind those sweet smiles, she experiences a lot of struggles, personal problems and challenges. I never know her deepest life story until she allows me to write and share to the world how God directs her journey. As a child, I went through life searching for love because I was empty inside. Because of that, I actually look for someone I could love and loved me back. I’m always searching for love. I feel like my life is an endless loop of unhappiness. Lagi akong tumatanggap at naghahanap ng satisfaction sa ibang tao. Akala ko masasatisfy ako sa ibang tao, sa ibang bagay o sa mga pangarap ko. Yes, I feel relieved and happy at some time, BUT after that, still I always ended up being hurt kasi iniiwan din ako. Ika nga “there is no such person or thing as permanent in this world, everything passes away, everything changes” – (walang permanenteng tao o bagay sa mundo, lahat nawawala, lahat nagbabago ). A true-life word! Paulit-ulit lang na bumabalik sa ganung sitwasyon ang buhay ko. Pauli-ulit lang akong nasasaktan. Until one day, while listening to a youth pastor, she said that, “God will strip you off until you have come to nothing, and when you have nothing you will have God, and when you have God you have everything”. And that makes a big impact to my life. Sabi niya aalisin ng Panginoon lahat sa buhay natin hanggang sa wala nang matira sa atin, dahil sa sitwasyon na walang wala na tayo doon lang natin makikita na may Diyos na sapat sa buhay natin. Then God gave me the thought to comprehend what the pastor said. First, God wants us to empty ourselves so that He can fill us and He can move to our life. He wants to LIVE with us but He wants us also to LEAVE every pain, bitterness, anger, and all the junks in our hearts. Sometimes we are not aware that our lives had already contaminated with so much pollution from this world that we do not even have the space for His word and for His presence. For God to enter our lives fully, we must be ready to create space: longing opens the heart to receive (Psalm 63). The door to our inner self, heart, and mind must be opened. “For where your treasure is, there your heart will be also” (Matthew 6:21). God needs openings in our lives to get through to us, to communicate with us, to stretch us to greater growth, to nourish us, to revitalize and renew us with love. We need to TRUST in Him. 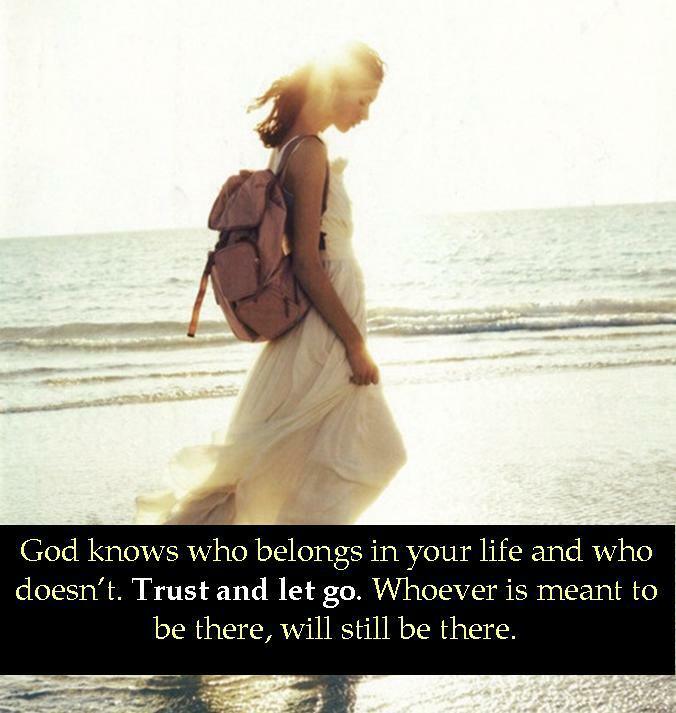 “It is better to take refuge in the LORD than to trust in man. It is better to take refuge in the LORD than to trust in princes” (Psalm 118:8-9). On our own, we are not strong enough to bear our burdens. On our own, we won’t be able to endure the trials set before us. In every storm, He is always beside us. 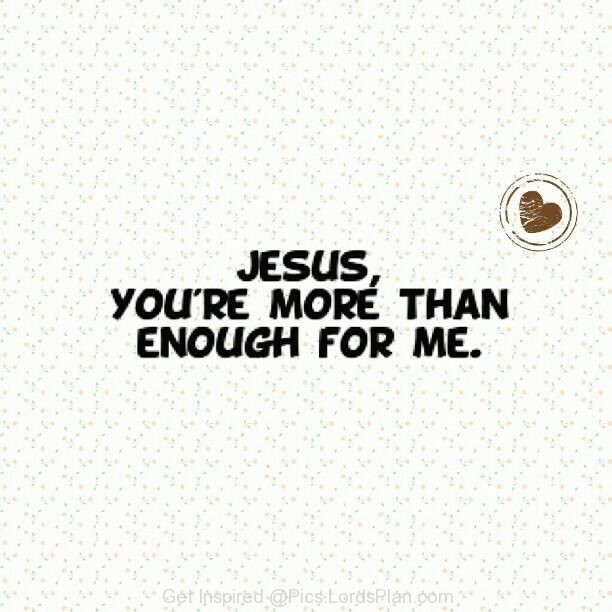 He is never too far. People may disappoint us but God will never and only God can satisfy the longing of our hearts, our mind and our soul. We need to be DEPENDENT only to God. It is not bad to be open to someone, but we ought to be more dependent to God. Sometimes if we depend on others, we end up being hurt because no man is perfect, everyone has flaws and not all the time people will be with us, they might leave or they might change but God promised us “I will never leave you, nor forsake you.” He will never leave us in every season of our lives. Above all those words, I want to share with you the song that motivates me to write and tell my story to many people. 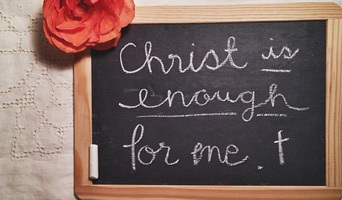 Just remember Christ is enough to fulfill all He has planned for you. I hope even in the small piece of my life story inspired and blessed you! To God be the glory! Friends for a reason. Friends for a season. It’s amazing how a total stranger can walk into your life and within a week, a month, or a year you couldn’t imagine living a day without them in it. And then it’s just as amazing that a friendship that took a decade to build can just crumble and never be the same and all that remains is dusty photographs and old memories and that friend that was once so dear to your heart becomes a stranger once again. If there is anything I’ve learned about friendship over the years it’s that you never know what will happen when a person first walks into your life. You never know if that person will become your best friend or just an acquaintance. And you never know how long they will stay or on which fateful day they’ll walk away. You don’t know if you should trust them with your heart, mind, and soul and then regret it one day when they leave and you have to let them go. I used to hate the uncertainty of people who come and go during different seasons of my life. What’s the point of creating new friendships and relationships when you don’t even know if they will last? What’s the point of sharing life with someone for just a season only to have them leave at the end without looking back? Each friend I made taught me something special and brought something new into my life. Each friend influenced me in one way or another, sometimes in a big way, sometimes in a small way. And whether or not those friends would stay in my life in the future didn’t make such a difference to me anymore. They played an important role in my life and if that’s all the time God let me have them for then it was worth it. I’ve come to learn that some people are meant to stay in your heart, but not in your life. Some people come into your life and stay for good. Others just stop by like a timely guest, never overstaying their welcome, leaving before you get too comfortable. And I’ve come to terms that it’s not the end of the world to have people in your life for just a season. That’s just the way of life. Some people in my past that influenced me greatly and that I couldn’t imagine not always holding a special place in my life I have not seen in days, months, and years. I have learned to just be grateful for the times that we shared in the past. And it has also gave me a fresh perspective and makes me appreciate my present. After all I will never know how soon a friendship I thought would be “forever” will just end. I don’t know how soon some people will just slip away from my life whether for a period of time or for good and I need to enjoy the people in the moment that I have instead of wish for the people in my past to regain that role in my life and take up the space in my heart that they no longer have. But the time they have shared with you and the lessons they have taught you will leave an imprint on your life and in your heart forever. Never be too scared to step into a relationship because of the fear of the unknown and because you don’t know if it will last forever or one day come to an end. The difference they make in your life will be worth it. 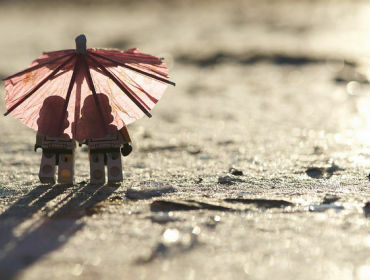 The truth is you will never know exactly how a friendship with someone will unfold the moment they step into your life. And you won’t know how long you have with them before their time is up. Sometimes you get them for forever. Sometimes you get them for a season. So learn to appreciate them, love them, and build memories with them but also learn to hold them loosely, after all you don’t know when it’ll be time for you to let them go. And never run after anyone who is walking away because maybe they are no longer meant to stay. Thank God for the relationship you had and the lessons you learned along the way but don’t keep on hanging on to people who are no longer there. Even if the relationship didn’t last forever it was not a waste because it taught you lessons that will last a lifetime. Close that door and start making room in your heart for someone else to walk in – because when you are ready and the time is right God will send a new friendship your way.